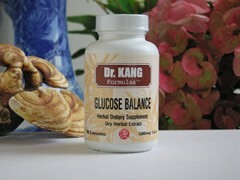 To be used as a supplement to a balanced diet when treating diabetes mellitus. From the Western scientific perspective, diabetes mellitus is an inherited endocrine disorder characterized by a variable degree of carbohydrate intolerance and specific vascular lesions (i.e., thickening of the capillary basement membrane.) The endocrine aspect of this disease is the lack of sufficient pancreatic insulin to take up nutrients from the blood, in particular, glucose. The short term danger would then be a sort of tissue starvation leading to rapid fat metabolism leading to ketoacidosis and ultimately to metabolic acidosis, shock and death. The long term dangers involve vascular lesions beginning in the lower extremities and fundus of the eye leading to tissue death, loss of sight and limb amputation. In the short term, immediate symptoms include thirst, hunger and frequent urination. Type I (more severe) diabetes often has juvenile onset whereas Type II (milder more manageable) forms of diabetes have an adult onset. Some adults (and now more children) very commonly develop Type II diabetes due to obesity. In some cases they have enough blood insulin for a normal body habitus, but insufficient insulin for an enlarged body habitus. For these individuals weight loss and exercise would be a part of their recovery and disease management. Traditional Chinese Medicine views this disease through the terms Xiao Ke (Consuming and Thirsty) with the main pathologic reason being Original Yin deficiency. It is made worse by an abnormal diet or overeating of sweets (or refined carbohydrates). Another cause would be emotional disharmony and overstrain causing Yin deficiency, Dry Heat of the Lung and the Stomach. If this disease goes untreated for too long, damage to Yang will occur as well as to Yin. This disease can be divided into three parts: upper, middle and lower Xiao. The clinical appearance of upper Xiao relates to Lung Heat and Essence Deficiency and is marked by constant thirst with dry mouth and tongue. There is an increased frequency and quantity of urination. Tongue: sides and tip of tongue is red with thin fur. Pulse: Full pulse. The middle Xiao involves excess Stomach Heat marked by eating large amounts of food but still feeling hungry, but individual has thin body with no weight gain and constipation. Tongue: has yellow fur. Pulse: Slippery with strong pulse. The lower Xiao involves Yin deficiency with increased quantity of urination with urine of a milky color. The individual has dry mouth and lips. Tongue: Red tongue. Pulse: Rapid. TCM Indications: Normally all three Xiao symptoms occur simultaneously with one symptom predominating at any given time. General TCM indications include syndrome of hyperactivity of Fire due to Yin deficiency marked by high blood sugar, thirst, dry mouth and tongue, dizziness, too much urination, and constipation. Tongue: Reddened tongue with reduced saliva. Pulse: thready and feeble or taut pulse. 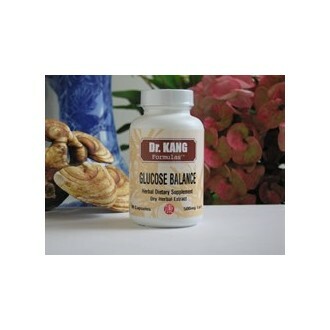 This formula's goal is to improve uptake of nutrients in the presence of limited insulin, to stimulate the body to produce insulin more efficiently, and to improve circulation and oxygenation in the peripheral tissues (fundus of the eye and extremities). It's TCM function is to nourish the Yin and Moist Essence, promote Blood circulation, remove Blood stasis, clear the Heat and tonify the Qi.